ashlee nicole spills | blog: New Orleans Fashion Week 2009 Casting. 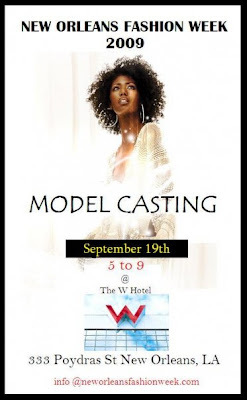 The producer of NOFW will be casting models for the 2009 fashion week season. They are also giving local designers and boutiques, hair & makeup artists a chance to participate in this 2nd annual industry fashion week.